Using the latest marketing and SEO best practices, I write web pages, blogs, and more. My clients get powerful results from copy that attracts more prospects and converts them into clients. 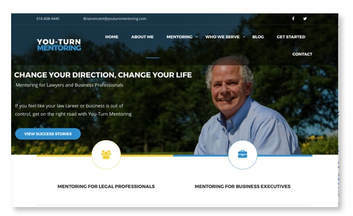 ​Using an inbound marketing model (Attract, Convert, Close, and Delight) and strategic copywriting, we show two audiences (lawyers and business executives) how You-Turn mentoring works, how it can radically change lives for the better, and how to sign up. ​Assignments from the Transportation and Electric divisions have included web pages, trade show sheets, and thought leadership papers. The client relies on copywriting that tells compelling stories about technical products and helps convert prospects into paying customers. 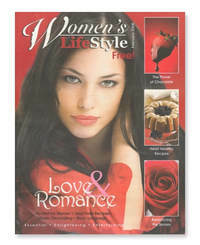 ​Every month we served 225,000 readers with entertaining, informative, and community-minded articles, and provided advertisers with valuable access to the women’s market. For ten years, I managed a team of 12+ freelance writers and led the team through transition from a local publication to internationally syndicated content. "Working with Maureen has been a pleasure. ...She does what she says she is going to do, and has always delivered more, and usually a bit ahead of deadlines. She truly knows her craft, and polishes language so that it keeps the reader engaged. She also has a talent for looking for and finding creative solutions to what at first seem like difficult issues.